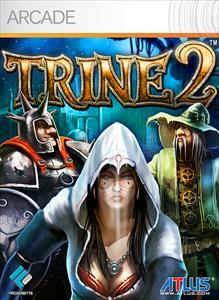 Trine 2 is the sequel to the 2009 downloadable action platformer. In the land of Zenozoik, the city of Halstedom is ruled by a powerful clan, one which Ghat has betrayed by killing Father-Mother, the clan's leader. As Ghat, fight your way through your former brothers and sisters, crazed individualists, and worse in order to escape in the unique first-person puncher Zeno Clash: Ultimate Edition. The bare-knuckled ..